Mr.Emmanuel, one of the few Nigerians with a heard-before name. 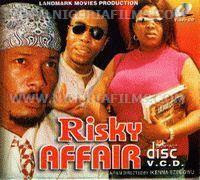 Otherwise, Nigerians have the most amusing names. Take for instance, old Tunday who drove the school bus and Mr. Saturday who taught me 'la langue du francais' and Peace (or was it Happiness?) the cook, and Mr.Yellow, one of dad's brawny customers. Want to hear more names? Chew on these – Messy, Blessing, Gift, Monday, Tuesday, Godfried, Ejyoma, Tolulope...(Oh btw, Tolulope is the mega star creator of the Youtube video series 'Don't Jealous Me'. Watch this webisode below called 'Pronounce My Name'). As different as the names, Nigeria has an unusual weather phenomenon called 'Harmattan'. During its occurrence from December until early March, Harmattan leaves the air foggy and heavily dust-laden, reducing the building right across to a blur. 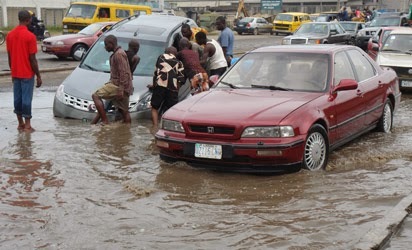 Aside from that, being situated along the Equator, Lagos enjoys mostly a hot and humid climate with some monsoon months for relief - not much of a relief considering monsoons means heavy rains which equates to flooded roads which translates into hours of traffic jams with cars wading through pool-sized potholes. Five hours is how long I have spent in Nigerian traffic and it did not make for the most pleasant hours of my life (why did I drink so much water????). But to be honest, it isn't too hard whiling away time in the traffic - there's a lot to amuse you...hawkers aplenty sell everything from plantain chips and 'pure wataaaaaaaa' (read: water) to books and even rat poison with dead rats in suspended from their tails for proof! Like the soaring temperatures, the mercury level of crime has always been on the high side. Nigerians are notorious and ingenious scammers. Criminals there are referred to as '419' - Nigeria's answer to India's '420'. Thefts and armed robberies have frightened many migrants away. There was a scary incident when robbers barged into our school, but my narration of that story will bear the Rashomon effect since I was absent that day and only heard variations of the dramatic developments from friends. With conviction however, I recall another (funny) incident when my Math tutor was robbed, while he ducked his head out of his car window. What did the thief run away with? His glasses!!! Nigerian thieves have moved on, they make stealing wallets seem pretty passé. But let the crime not intimidate you, Nigerians are humorous people and I think this is reflected in the animated and expressive way in which they speak. If by now you've watched Tolulope's webisode above, you'll understand what I mean. We never had to learn their local language since Nigerians know English, or at least their version of it called 'Pidgin' or 'Broken English'. 'Pidgin' is a product of their deep regional influences on the dialect. For instance, if you want to say 'Hey, what is the problem? 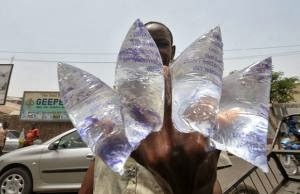 ', a Nigerian would say, 'Oya, wetin be dey problem?' A longer sentence like 'Let me tell you, he is not a good man' would roll out as - 'Make I tell you oh, he no dey be a good man aaehh'. Most Indians in Nigeria (and myself included) are eligible for a certificate of excellence in this evolved language. Now if there is one thing the Nigerians are passionate about, it is football. Nigerians are born sportsmen and the locals are soccer-crazy. If the Nigerian team was playing a match, I would be able to tell you if they won or lost without actually watching the match. How? Well, every time their team would score a goal, you would hear fans cheering 'GOAL!!!' so very loud that miles away within your home you would be able to hear the echo. Following a dismal performance at the World Cup 2010, Nigeria's Super Eagles have been disbanded as a team. 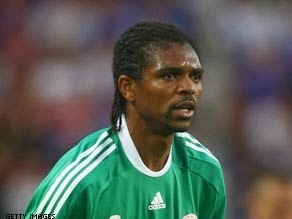 legends like footballer Nwankwo Kanu. The Vatican almost chose Cardinals Francis Arinze, a Nigerian successor to the deceased Pope. 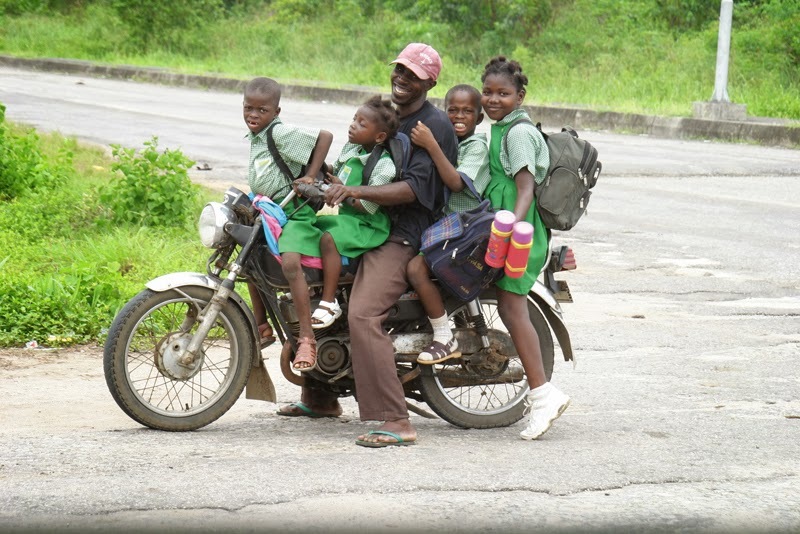 You may find this country strange, but in its peculiarity lies Nigeria's speciality. I feel for the country and its people and mourn the fact that revenues from this oil-rich economy are being squandered through corruption and mismanagement. Despite being one of the largest producers of petroleum, Nigeria is still trailing far behind other oil rich countries. Innocent Nigerians are mere puppets to a democratic government that is sadly insufficient, unjust and unstable. All eyes are now on the incumbent President Mr. Goodluck Jonathan who has a mountainous task ahead of building a secure nation. Looks like this is one Johnny who could do with a lot of good luck!